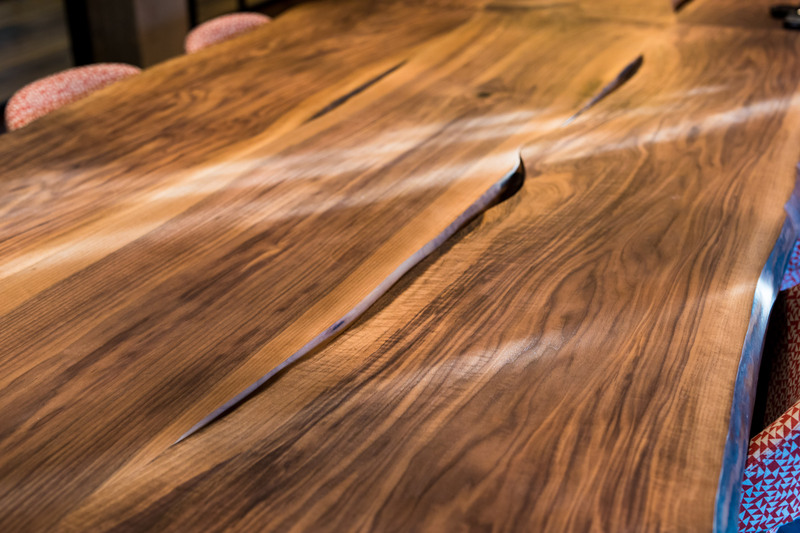 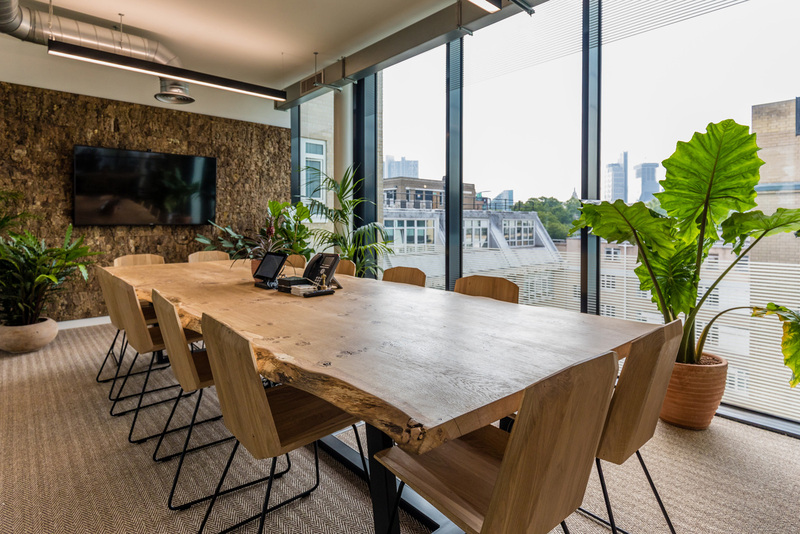 From live-edge to contemporary we can create bespoke boardroom tables to suit your requirements. 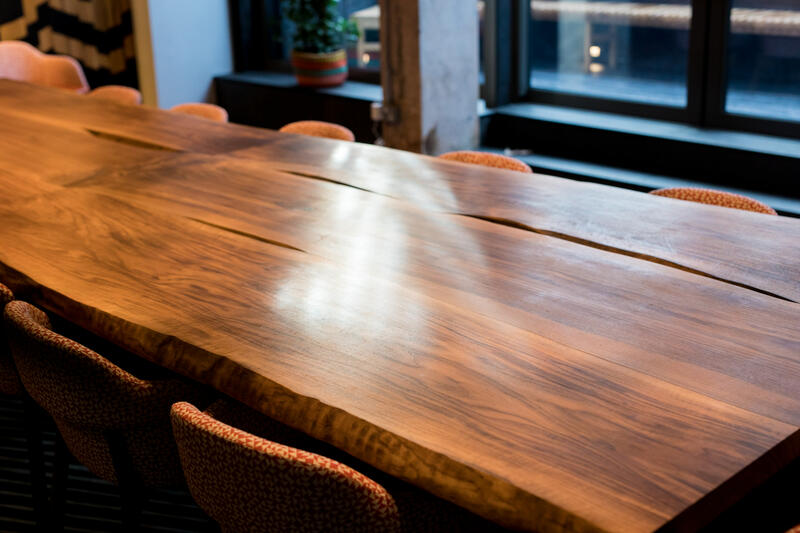 Whether you’d like to create a one of a kind feature piece, or tie the table in with the existing furniture in the space, we can offer you something truly unique. 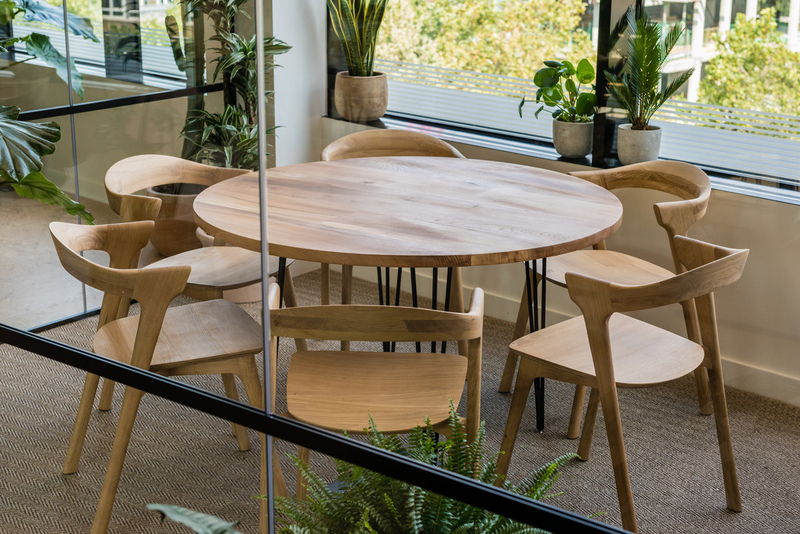 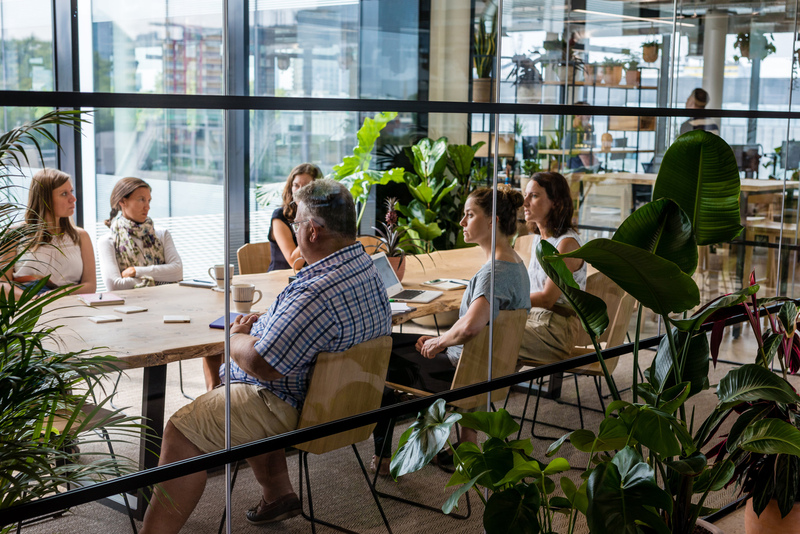 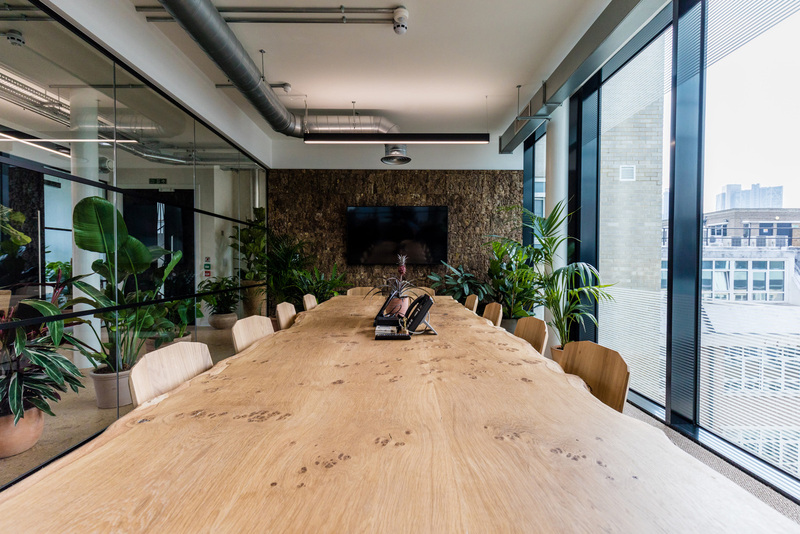 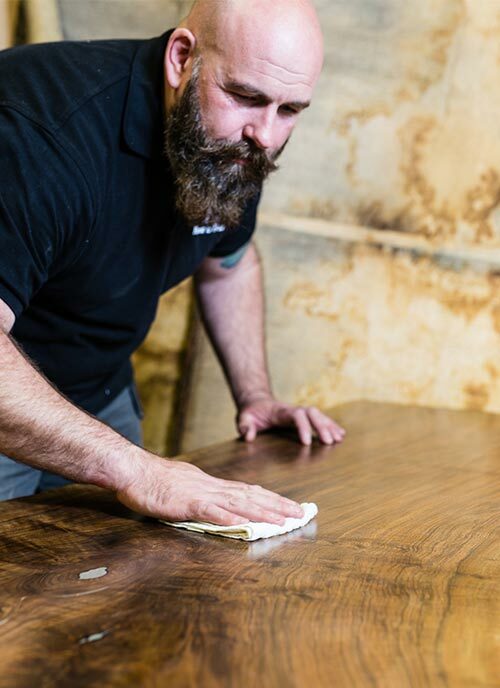 All of our bespoke boardroom tables are crafted from sustainably sourced, solid timber. 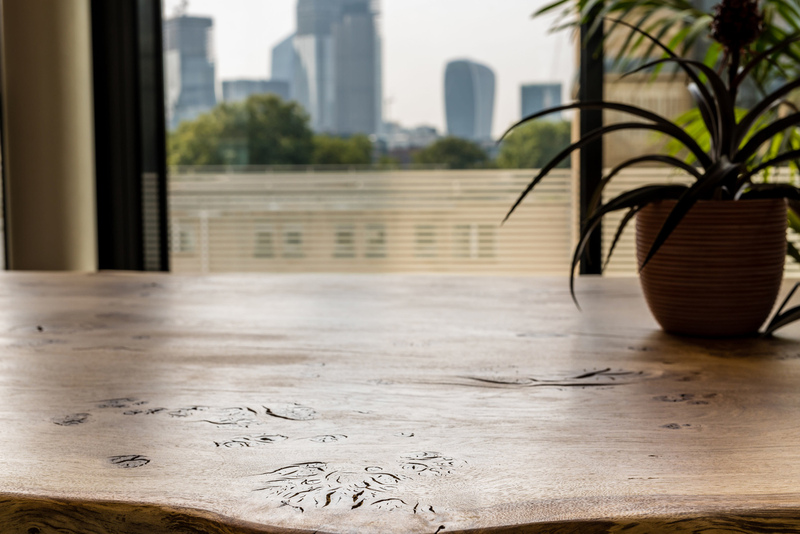 Bases are crafted from either solid timber or metal with power and data options also available. 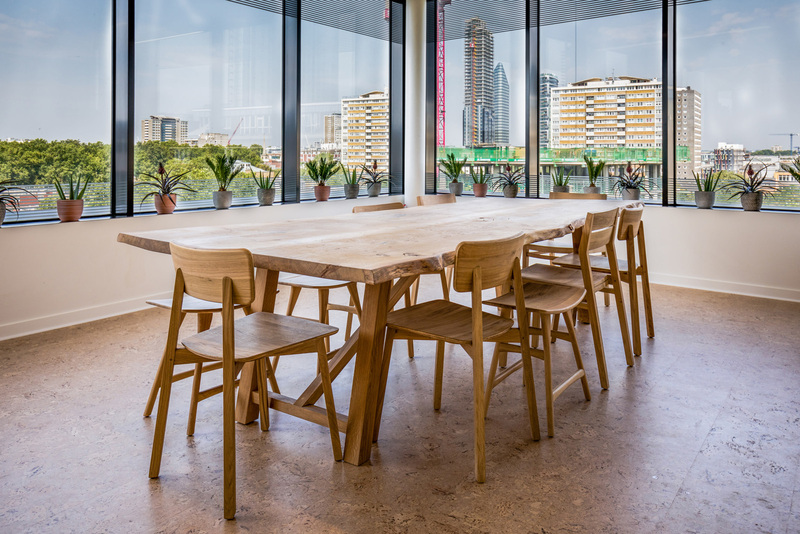 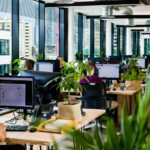 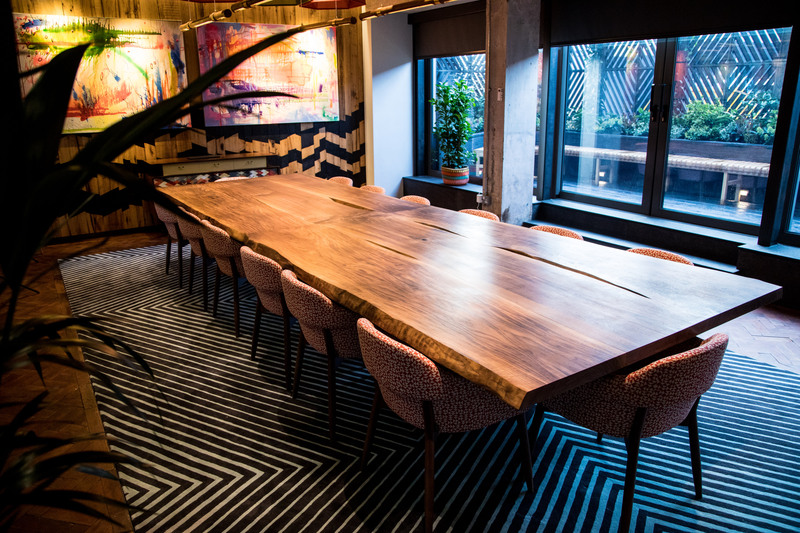 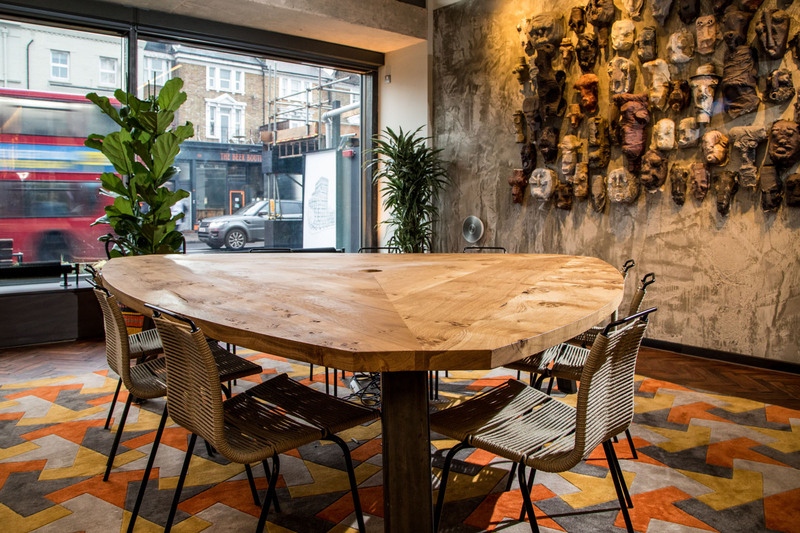 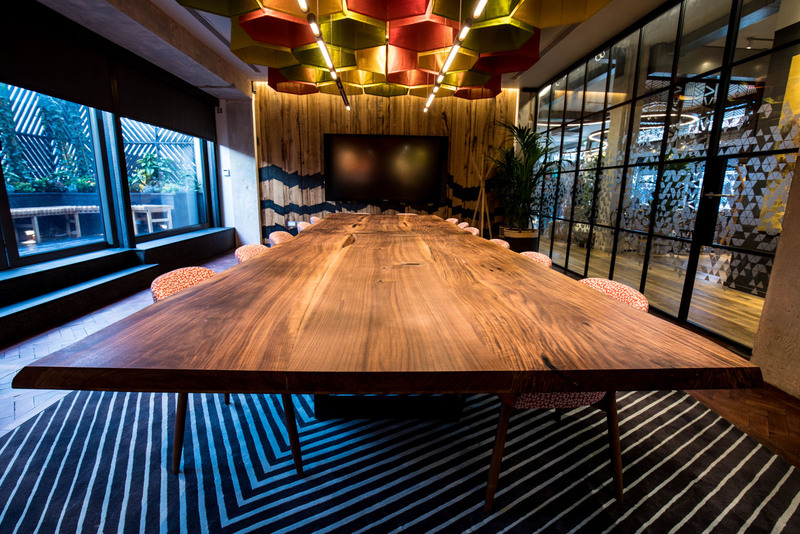 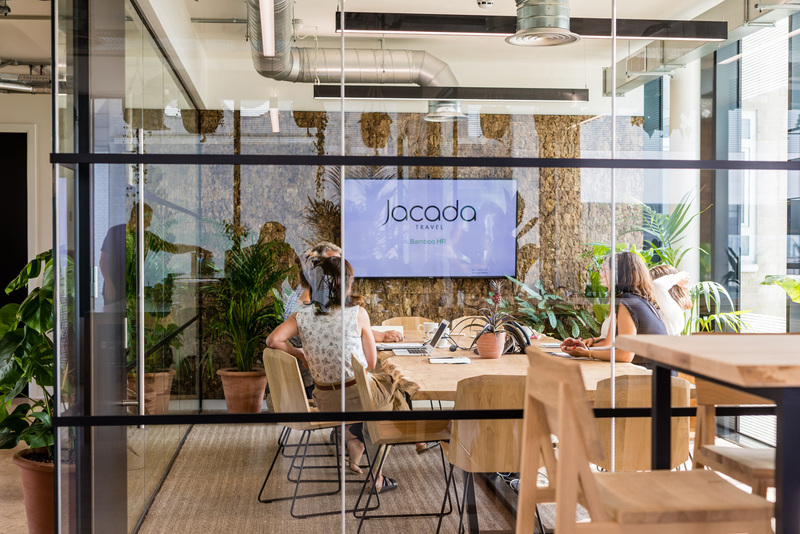 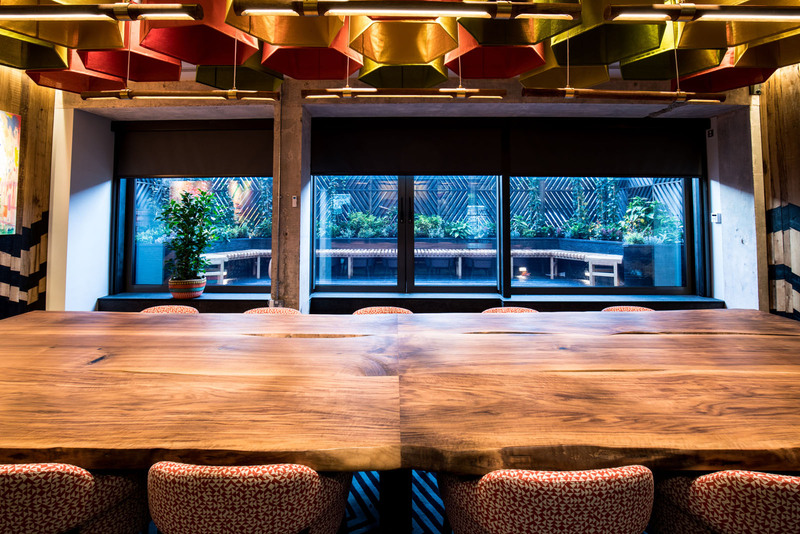 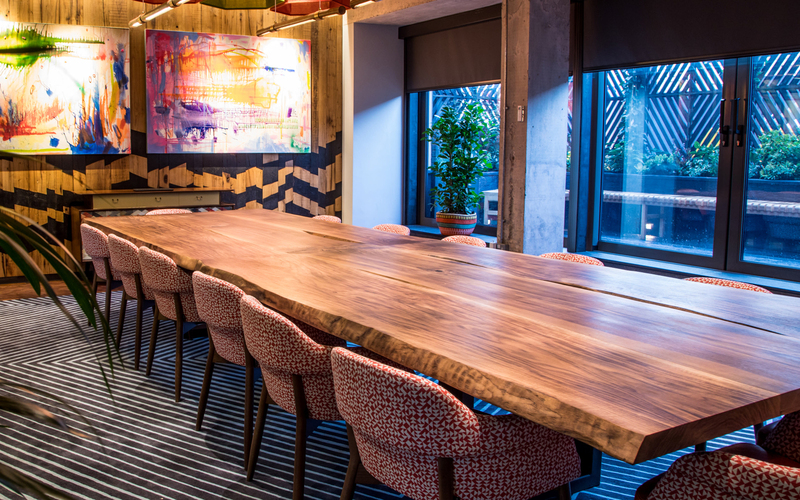 Pictured are tables from Nando’s and Jacada travels London head offices. 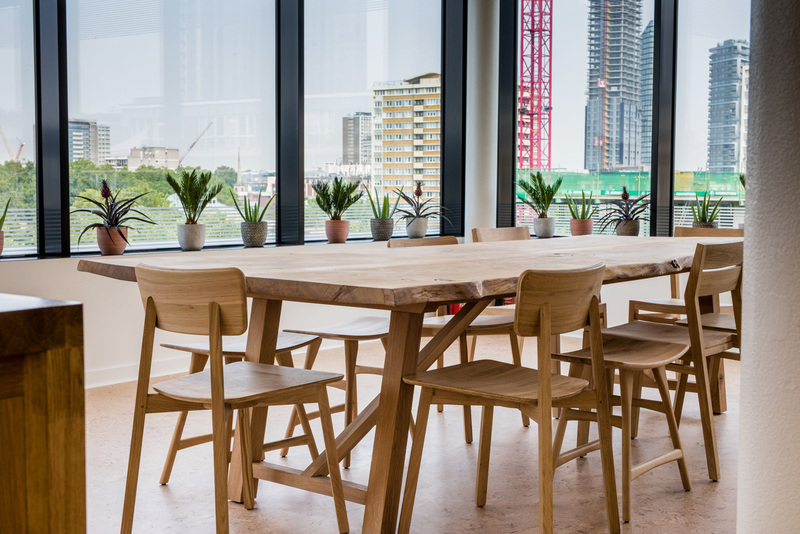 Feature tables for smaller meeting rooms, waiting and reception areas or as coffee tables. 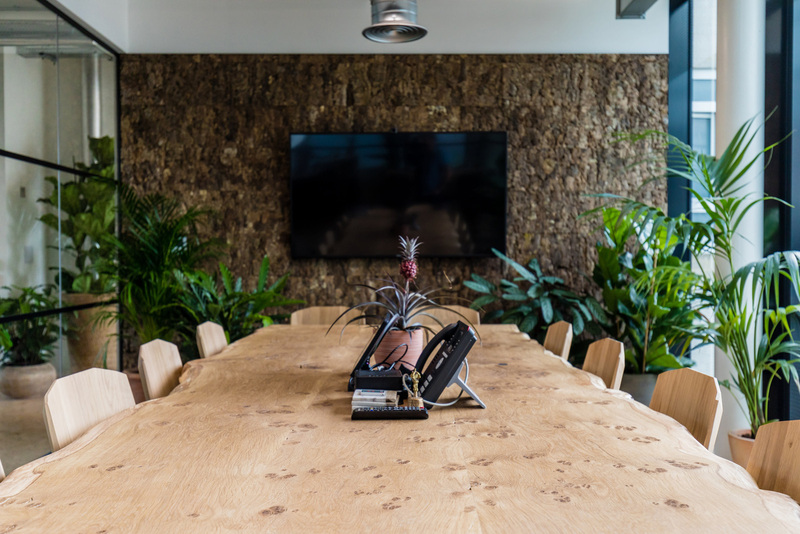 Crafted from sustainable materials, these pieces can be designed as stand out features or to tie in with the surrounding space. 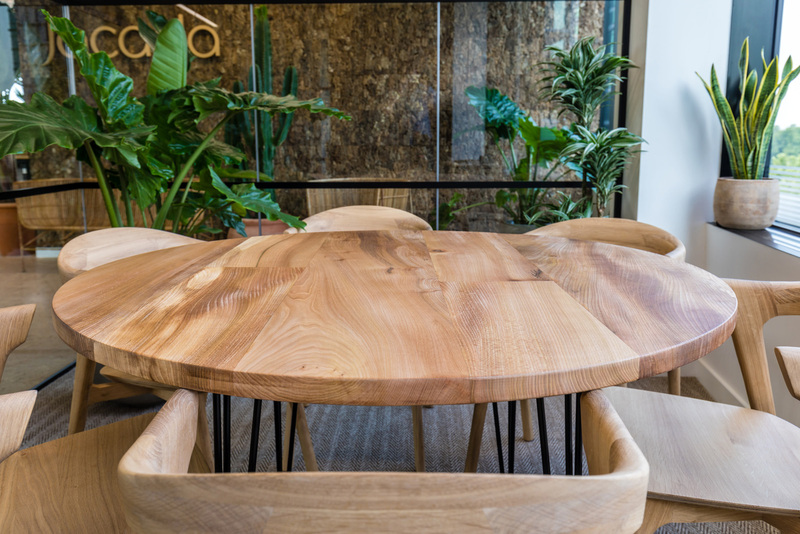 With larger projects these pieces can sometimes be crafted from off-cuts or all from timber from the same tree – tying the story of the pieces together.